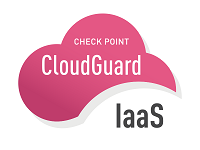 Check Point CloudGuard IaaS protects assets in the cloud from the most sophisticated Gen V cyber-threats with dynamic scalability, intelligent provisioning and consistent control across physical and virtual networks. Check Point CloudGuard delivers automated and elastic security to keep assets and data protected while staying aligned to the dynamic needs of public cloud environments. It supports the broadest range of cloud infrastructures, including: AWS, Microsoft Azure and Azure Stack, Google Cloud Platform, VMware ESXi & NSX, Cisco ACI, Oracle Cloud, Alibaba Cloud and more. New! R80.10 CloudGuard Gateway for NSX managed by R80.10 Management Server is now available.